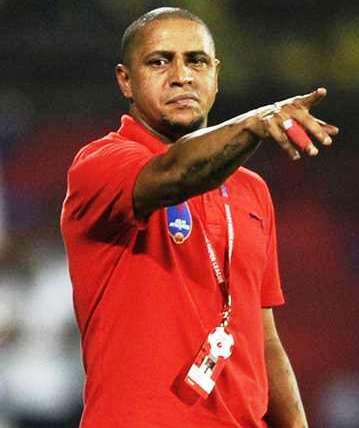 Kochi(Kerala): Delhi Dynamos marquee player-manager Roberto Carlos stated that his players are getting more confident with each game in the Indian Super League (ISL). The Lions downed Kerala Blasters 1-0 in Kochi which saw them go level on points with league leaders, FC Pune City which leads only on better goal difference. “This is our second away win and so is very important. We deserved this result. We are also top of the league now. We are getting more and more confident and the credit goes to my players. But we can improve even more,” he shared his thoughts in the post-match press conference. He credited his technical staff for doing well to deal with Zodingliana Ralte’s injury in the first half as he introduced Sehnaj Singh in the midfield with Chicao and John Arne Riise moving to centre-back and left-back positions respectively. “We have to think very quickly in situations like this and my coaching team did well in reacting to it. We have to make changes according to the match hour situations. (Richard) Gadze today played on the right though he is a forward. Throughout the game we look to improve our team,” he said. The former Real Madrid defender praised the ambience at the Jawaharlal Nehru Stadium in Kochi which saw 62013 fans cheer for their home team. “We saw lots of fans pouring in to the stadium as we traveled to the ground. I want to thank all the supporters here. This is the true atmosphere of football and of India,” he mentioned. Striker Richard Gadze, who has now scored two goals in as many matches, stated that he was keen to impress the coach given that he isn’t satisfied with a role on the bench. “I wanted to play when I was on the bench and when I came on I tried to work as a group with my teammates and it worked. It was great to score a goal,” he said. Meanwhile, Francis Fernandes shared some insights to Carlos’ tactical instructions which highlighted Florent Malouda being the chief orchestrator. “We didn’t have any pressure as we were the away team. So we enjoyed a lot. The coach asked me to play simple football. He said, ‘Give the ball to Malouda and try to get behind the defenders’. I did what he wanted me to do,” said Fernandes.